Karol Bagh Hotel Fire: At least three people were killed when they reportedly jumped off the building. Karol Bagh Fire: A major fire broke out at at Hotel Arpit Palace in Karol Bagh in central Delhi. 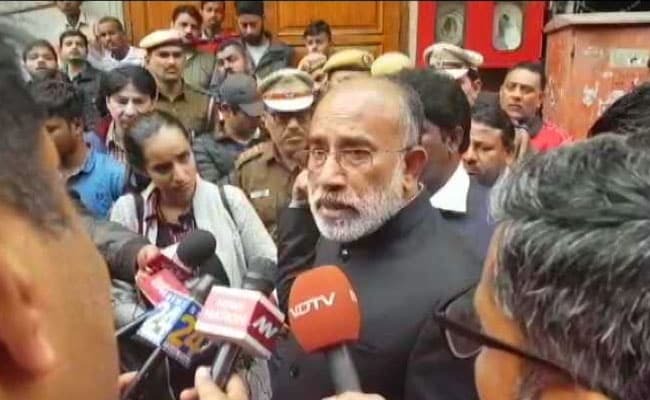 The hotel in Delhi's Karol Bagh area where 17 people were killed after a massive fire tore through the top two floors of the six-storey building early Tuesday had its emergency exits closed every night, Union Tourism Minister KJ Alphons has said. While many of the victims were charred to death or suffocated in the poisonous fumes, at least three people were killed when they reportedly jumped off the building in desperate attempts to escape the blaze. "We just took a look at the emergency exits. It's all illegal. These are very narrow, not according to specifications. And they were closed at night. According to information we have, those gates are closed at night and a guard sits outside. 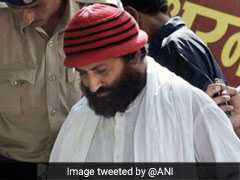 But we don't know if the guard was there or not," Mr Alphons told reporters after surveying the spot. At least 35 people were injured in the blaze at Hotel Arpit Palace, said Madhur Verma, Deputy Commissioner of Police, adding that one person was still missing. KJ Alphons said the emergency exits at Hotel Arpit Palace were narrow and locked at night. "A 43-year-old woman suffered 45 per cent burn injuries," he told reporters. A senior civic official told news agency PTI a suspected short circuit could have sparked the fire. Wooden panelling in the rooms and corridors inside could also have helped the fire spread. Delhi Chief Minister Arvind Kejriwal, who visited the location, said a magisterial inquiry had been ordered that will also look into violations by other hotels in the area. "There is a clear case of negligence here," Delhi minister Satyendar Jain told NDTV. Even though the law limits construction only to four floors, the hotel had a fifth and sixth floor with a canopy that housed a kitchen and dining area, he said.